Posted in General News Items	| Comments Off on The Very Popular Lobsterfest is Coming Soon! The luncheon at the Golden Corral was held Friday, March 15. President DJ told the first story, about a drug bust in the Pacific. Several other members followed, with topics including an aircraft carrier with a runaway rudder, intricate submarine mishaps, and a narrow escape involving Admiral Zumwalt. The concept was quite successful and will probably be used again in the future. It gave us all some insight into each other’s careers, and it was a lot of fun. The Golden Corral continues to be a good venue with high quality food at low cost. The Board has reluctantly decided to cancel this year’s Lobesterfest, based on website difficulties, a lack of volunteers for the event, and the concern that it would not measure up to the high standards of previous years. We will still be having the Lobsterfest in 2019, and we plan on its being a great event (with the proper planning and website support). Please stay tuned as we plan to have another event (besides football viewing parties) for our alumni in the fall. 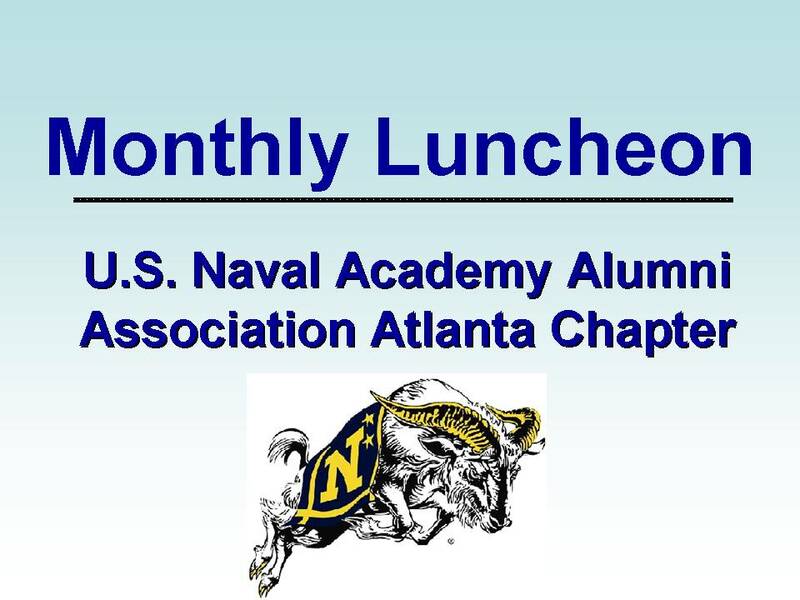 Atlanta Chapter’s Monthly luncheon was held on Friday, May 18th at Taco Mac (The Prado at Sandy Springs – 5600 Roswell Rd Ste M003, Sandy Springs GA 30342) Approximately 40 members and wives attended. Registration and pre-lunch social began at 11:30 am and lunch was served at 11:45 a.m.
Doug Norton, ’65, was the guest speaker. Doug gave a fascinating and informative talk about his two books, Code Word: Paternity, and Code Word: Pandora. Preparations are underway for the hockey game between the Washington Capitals and Toronto Maple Leafs on March 3 at Navy-Marine Corps Memorial Stadium. The league will play its 25th outdoor game March 3 in Annapolis when the Washington Capitals play the Toronto Maple Leafs at Navy-Marine Corps Memorial Stadium. The matchup will be just the third played in March and is part of the Coors Light NHL Stadium Series. Workers began arriving in Annapolis over the weekend to transform the field into a hockey rink in time for the faceoff at 8 p.m.
NHL Senior Manager of Facilities Operations Derek King talks about making ice for the game March 3 at Navy Marine Corps Memorial Stadium. Instead of just taking a garden hose into a backyard and flooding an area and waiting for the temperature to fall, the National Hockey League uses a special technology to create an ice rink fit for the best hockey players in the world. The process takes about seven days and will begin once the foundation of the rink is down. As the members of the media gathered at the stadium Tuesday under sunny skies with temperatures approaching 70 degrees, the big question was if the weather will be an issue. To accommodate its outdoor games, the NHL created a one-of-a-kind mobile refrigeration unit and rink system. The 53-foot-, 300-ton-capacity unit make a solid sheet of ice while removing heat from the surface and then stabilizing the temperature. Once the ideal surface temperature is reached, the actual process of building the ice begins. Typical thickness of ice inside an NHL arena is approximately 1 to 1.25 inches. The outdoor rink requires up to 2 inches to help withstand the more extreme elements. There is no special water used to make the ice, either. King says the water used is the same tap water used in a home. Once the ice is down, monitoring the status of the ice is a 24-hour job. A high-tech system called Eye on the Ice is embedded in the surface and helps to provide updates on the temperature at different areas of the ice and will signal an alert if more glycol is needed or if the heating system needs to engage if the weather gets too cold. Along with a few former Washington Capitals players, Annapolis Mayor Gavin Buckley and Naval Academy Superintendent Vice Adm. Walter E. “Ted” Carter attended the press conference Tuesday. 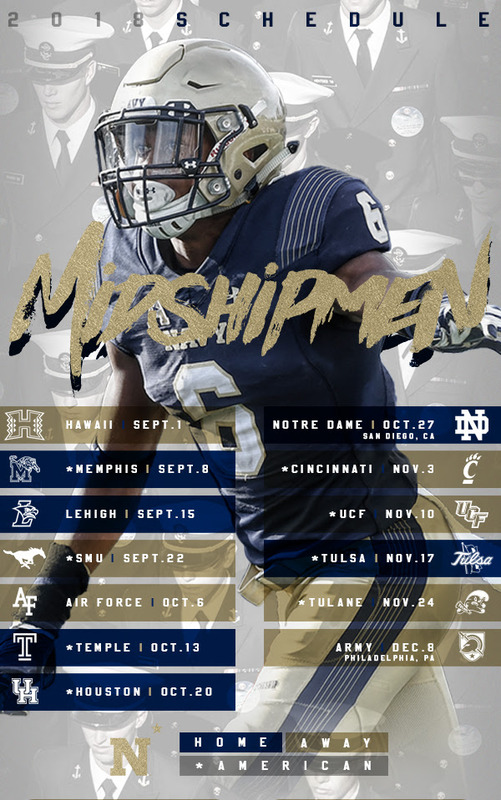 While Naval-Marine Corps Memorial Stadium has a smaller capacity, average attendance for outdoor games is 53,504 per game. A look at what goes into an outdoor NHL game like the one set for March 3 at Navy Marine Corps Memorial Stadium. 34.9: Average temperature for the previous 24 outdoor NHL games. 200: Workers will spend one week building everything needed for the game. 300: Ton capacity of refrigeration trailer that will keep the ice cool. 3,000: Gallons of glycol coolant used to freeze the rink. 20,000: Gallons of water needed to create a two-inch ice surface. 96,500: Pounds of the refrigeration unit that travels to the NHL outdoor games. 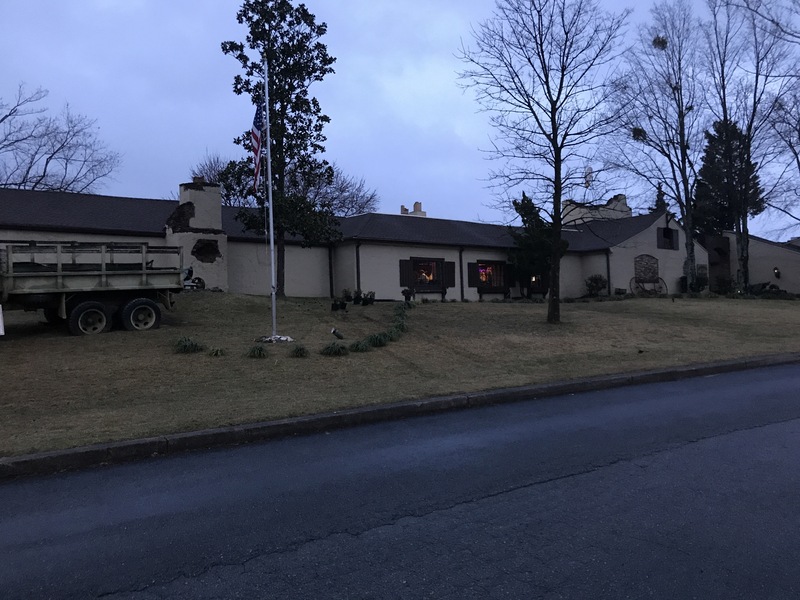 The Atlanta Chapter of the US Naval Academy Alumni Association (USNAAAA) held its 2018 Dark Ages Dinner Party at the venerable 57th Fighter Group Restaurant. On a rainy Saturday evening in February, a total of forty-eight (48) Atlanta area alumni and spouses braved the soggy weather of the “dark ages” and gathered for an intimate evening of camaraderie and fellowship at the World War II era aviation themed restaurant located adjacent to DeKalb-Peachtree Airport. The airport and restaurant occupies the original site of Naval Air Station Atlanta, which operated at the location from 1942 to 1959. 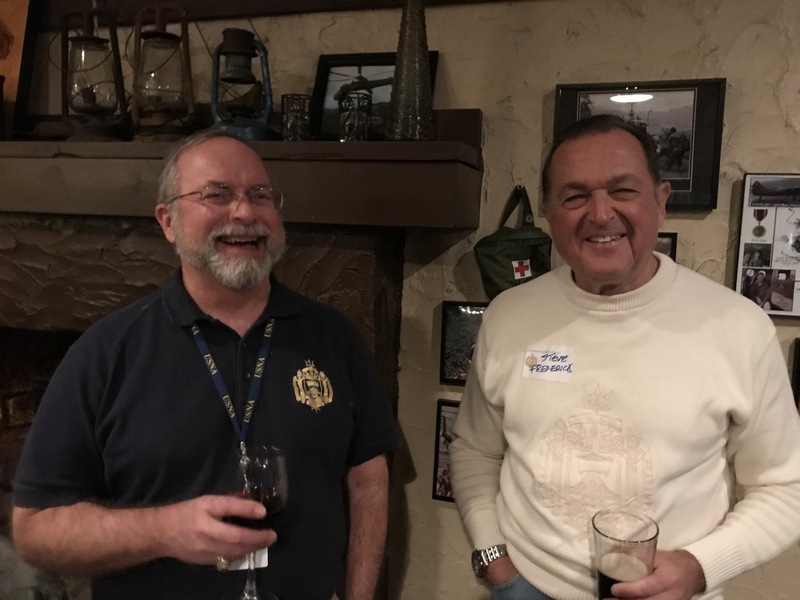 The USNA Alumni year groups represented during the evening spanned nearly forty years with Reggie Vachon ’55, the senior alumni present and DJ Marzetta ’94, the junior alumni present. 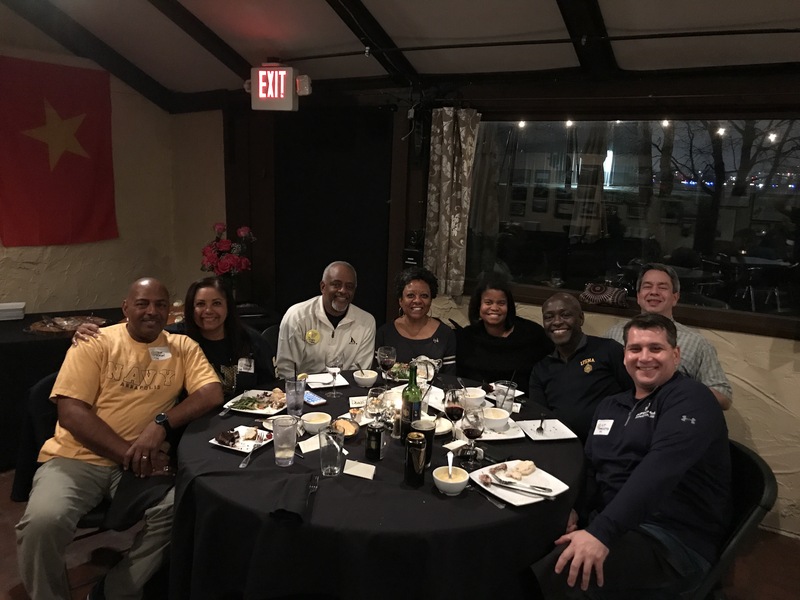 During the festive evening of re-telling sea stories and rekindling the shared experiences of USNA that bounds us together, the group took a moment to remember the loss of Carl McCallum, Class of 1960, who was a foundation of the Atlanta Chapter for more than five decades. Overall, the 26 Annapolis alumni present had an enjoyable and memorable evening of camaraderie and fellowship. The Dark Ages Party represents the third largest annual function hosted by the Atlanta Chapter. As the evening concluded, Chapter President Ed Brownlee ’81 introduced incoming Chapter President Dante (DJ) Marzetta ’94; and, the evening ended with a rendition of Thai Academy alma mater…Navy Blue and Gold. Carl P. McCallum of Marietta, GA passed away peacefully on January 5, 2018. He was born in Detroit, Michigan on May 9, 1937. Carl grew up in Cincinnati, Ohio, and graduated from Mariemont High School. He attended the U.S. Naval Academy, class of 1960. Carl served in the Navy from 1960 to 1968. He was first stationed at Patuxent River, MD and flew the first generation P3 Lockheed Orion. Later in his military career, he flew for the Department of Defense as a test pilot for Lockheed in Palmdale, California. 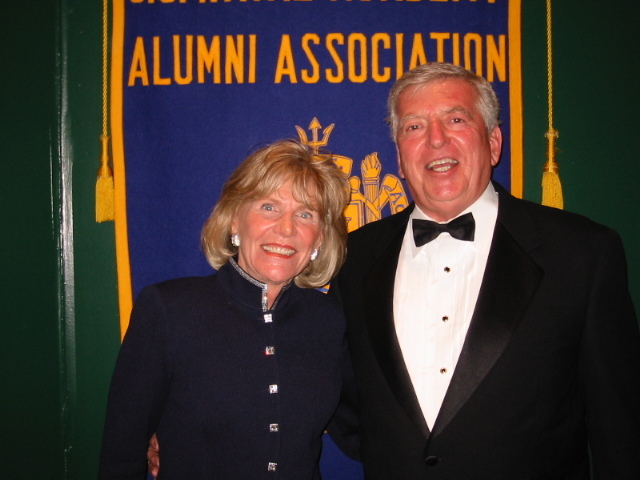 Carl served as President of the United States Naval Academy Alumni Association, Atlanta Chapter, and was a Trustee at the United States Naval Academy. Carl began his 30-year career as a pilot with Delta Airlines in 1968, retiring as Captain in 1997. Carl was an active member of his church and served as an Elder for many years at John Knox Presbyterian Church in Marietta, GA. He was a devoted husband, father, grandfather and great-grandfather. He is survived by his beloved wife of 56 years, Marilyn (Bach) McCallum; his sons Cary McCallum (Susan), Christopher McCallum (Elizabeth) and Carl (Chip) McCallum, Jr.; granddaughters Kaitlyn, Kelsey, Erin, Kelly, Parker, Macy, Julia; and great granddaughter Camryn. He was preceded in death by his parents Douglas and Verna (McKeeth) McCallum and son Kevin McCallum. Visitation is at John Knox Presbyterian Church on Saturday, January 20th at 10:00am and funeral services at 11:00am. CASA – Christian After School Academy, John Knox Presbyterian Church, 505 Powers Ferry Rd, Marietta, GA 30067.